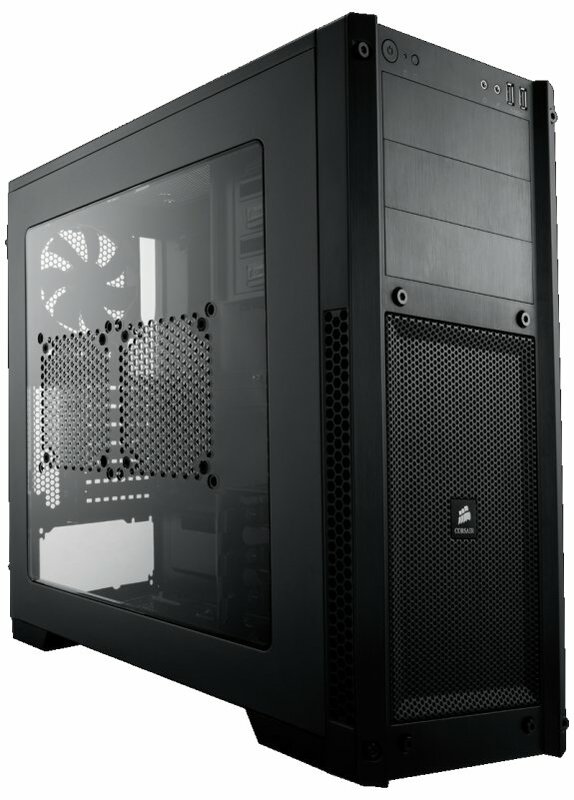 Corsair, a worldwide designer and supplier of high-performance components to the PC gaming hardware market, today announced that the Carbide Series 300R Compact PC Gaming Case is now available in a windowed version. First released in January, the Carbide 300R PC case has won accolades for its compact, streamlined, builder-friendly design. The new Carbide Series 300R windowed version of the case of features a side window that gives PC builders the ability to demonstrate their modding skills while also showcasing internal PC components, such as Corsair's PC performance tuned Vengeance DDR3 memory, GS Series power supplies, Hydro Series CPU coolers, and Air Series cooling fans. Great gaming systems begin with a great case, and the Carbide Series 300R provides a remarkable number of in-demand features in an attractive, compact chassis. Builder-friendly features include three tool-free optical drive bays and four tool-free hard drive bays with integrated 2.5" SSD compatibility. There's room for high-end GPUs of up to 450mm in length, and the matte black interior incorporates Corsair's innovative cable routing system that helps keep wires and cables out of sight for a clean look and improved airflow. The 300R comes with intake and exhaust fans, with room for five additional fans including dual side-mounted fans for direct GPU cooling.